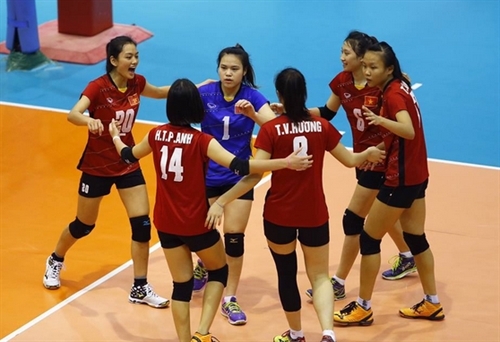 HÀ NỘI — Việt Nam ended in fourth place at the Asian SMM 18th Asian Women’s U19 Volleyball Championship after losing to Thailand in the third-place playoff in Thailand on July 31. Thailand beat Việt Nam twice, first in their opening match in the Pool D group round-robin preliminaries in Nakhon Ratchasima before delighting home fans with a 3-1 (25-11 22-25 25-19 25-8) comeback. It is the first time that Việt Nam have been ranked fourth in the Asian meet, ahead of South Korea (world junior No 18), Chinese Taipei (world junior No 21) and Kazakhstan (world junior No 26). In the final match, China crushed Japan 25-20, 21-25, 25-22, 14-25, 16-14 to win the event.